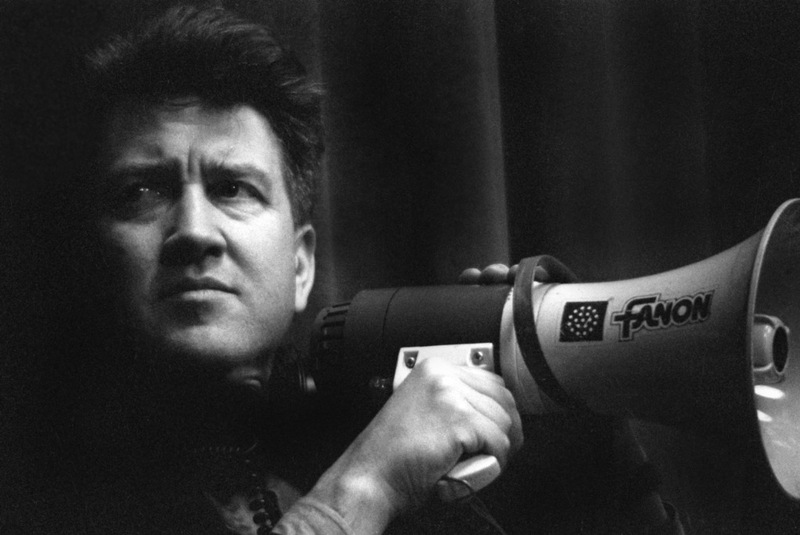 Few directors have had their various idiosyncrasies and common threads crystallized into a “brand” in the public consciousness as much as David Lynch. 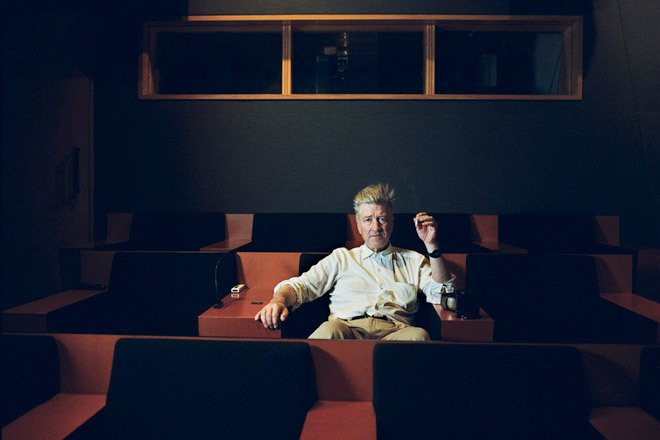 The “Lynchian” is used as a catch-all term for the weird and surreal, regardless of how much or how little the subject that is being referred to reflects the actual ideas behind Lynch’s oeuvre. So what is Lynchian, not only in the actual predilections exhibited in the master filmmaker’s works but in a general sense? For one, it is the aesthetics, a by-and-large gorgeous rendering of something just off the path of reality. It is also the performances (often delivered by frequent collaborators) and characters: archetypes made into living people, not quite stylized or exaggerated so much as simply heightened. But most of all it is the subject matter, the obsession with the quite literal battle between the light and the dark even as glimmers of each appear within the other. Moreover, it is inexorably bound to a singular sense of Americana and iconography: with only two exceptions early in his career, all of his films are set almost wholly in the United States, and he draws out the various manifestations of the American Dream in ways both reaffirming and troubling. SIFF’s marvelous retrospective covers a good portion (but significantly not all) of David Lynch’s filmography, and even more impressively it takes place mostly on 35mm. It begins, fittingly, with Lynch’s first feature film Eraserhead (1977), which to this day remains one of his most beguiling and technically staggering films. Starring frequent collaborator Jack Nance, it is a essentially plotless work, about a man who is forced to care for his hideously deformed child in an industrial wasteland. The focus is, as is always the case with Lynch, on the sustained mood, on the sense of disquiet that threatens to burst forth at any moment. And Eraserhead holds his most hauntingly gorgeous mood, one that sustains itself through some of the most surreal and beautiful visions Lynch, or any other filmmaker, has ever conjured. Lynch continued onward with the only two films of his that can be described as studio films: The Elephant Man (1980) and Dune (1984). The Elephant Man is perhaps the most straightforward work of Lynch’s films playing in this retrospective, a sober and fairly faithful depiction of the story of John Merrick (played by the late John Hurt in a mighty performance), a severely deformed—deformity is a major recurring image in Lynch’s work—man who fights to be accepted by the society of 19th century London. This is Lynch’s last feature in black & white, and even in what could be a straightforward biopic, he finds ways to insert both what rapidly becomes his trademark surrealism and an extraordinary sense of humanity, a gentleness that sets this remarkable film ahead of standard “Oscar bait,” though this was indeed nominated for multiple Oscars, the only time this has occurred in Lynch’s career. Dune is an even stranger (from an auteurist standpoint) entry in Lynch’s oeuvre, the only artistically compromised film he has made. An adaptation of Frank Herbert’s mammoth sci-fi novel about the war for a planet that contains the most valuable substance in the universe, it went through a notoriously long gestation that infamously involved Alejandro Jodorowsky and ended in a severely trimmed version of Lynch’s vision. Though Lynch rejects the film today, not to mention many of his most ardent admirers, there is far more of him in this film than expected. He manifests himself through both casting—many actors, notably Kyle MacLachlan and Jack Nance, recur again and again through his filmography—and imagery, through the vast, often beautifully hideous landscapes and figures). But leaving aside all of that, Dune is simply a hugely entertaining and strange science-fiction epic, a flawed but incredibly ambitious epic far more interesting than its conventional reputation. After Dune, Lynch retreated to his wheel-house and produced probably his most iconic and indelible work in the public consciousness, Blue Velvet (1986). His first deep-dive into the psychosexual thematics that dominate his filmography, it takes the story of a young man discovering the seedy underbelly of his small town and casts it as nothing less than the battle for the soul of humanity. Lynch’s sentimentality manifests itself for the first time here, mixing freely and beautifully with his cynicism. There are the performances, of course—Dennis Hopper and Isabella Rossellini’s daring parts get all of the attention, but even more impressive are MacLachlan and Laura Dern—but there is also the perfect distillation of the noir mindset, the archetypes twisted into figures that are both dirtier and purer than what is typically seen. Mysteriously, Lynch’s so-called middle period is not represented here, but it consists of some of his most divisive and strange works, as well as representing the most successful section of his career. Blue Velvet launched Lynch into the stratosphere of popular culture, and he used this new fame to make his landmark TV show Twin Peaks and the Palme d’Or-winning Wild at Heart. Unfortunately, his fame in the cultural consciousness only lasted until the last half of the extended second season of Twin Peaks, and he further alienated most of his fans with his heartbreaking, immensely gorgeous, and troubling film maudit Twin Peaks: Fire Walk With Me, from which he retreated back into his experimental roots. Lost Highway (1997) is one of Lynch’s most curious movies, the first film of his informal “L.A. Trilogy” and his first experiment in truly fractured and segmented narratives. It depicts, from what can be ascertained, a man (Bill Pullman) who morphs into a younger man (Balthazar Getty) after being accused of murder, while he appears to see the same woman (Patricia Arquette) assuming two completely different identities. Functionally, it is the only Lynch film that depicts two entirely different moods, one the sustained horror of Eraserhead and one the neo-noir riff of Blue Velvet, and as such it represents a fascinating transition film for Lynch. After an unexpected but entirely lovely and elegiac digression in the form of The Straight Story, Lynch emerged with one of the most acclaimed films ever made (and my own favorite film): Mulholland Drive (2001). This movie is the apotheosis of Lynch’s total command of cinema, even though it is essentially a repurposed television pilot with added footage. He skillfully weaves two essentially disparate plot strands—an aspiring actress (Naomi Watts, delivering one of the greatest and most layered performances in the history of the medium) and an amnesiac woman (Laura Harring) trying to uncover the latter’s identity and a film director (Justin Theroux) having strange troubles on his latest production—into a tapestry of fear and desire in the strange land of Hollywood, and the various ruptures in the fabric of reality have rarely been more pronounced or moving in any film. It is, oddly but wonderfully, the consensus masterpiece of the 21st century thus far, a haunting portrayal of the lines between life and death, love and betrayal, fantasy and reality. Having garnered a renewed goodwill of sorts, Lynch proceeded to challenge it with his most obscure and ambitious work, Inland Empire (2006). A three-hour “epic” shot on muddy and blurred digital video, it moves through no less than five levels of reality as an actress played by Laura Dern (in a soul-rendingly incredible series of performances) appears to inhabit various roles and encounters no small amount of shadowy figures. This is perhaps the only film in which Lynch is completely unmoored from any sense of reality, and it is the movie of an untethered genius for the better. There is a charge, a vitality to this oddly beautiful film that mixes freely with the scenes of unbearable horror, of whatever other side there is. But there is catharsis at the end of this long, dark tunnel; I hope that Lynch will make another feature film, but the final moments of Inland Empire serve as the perfect capstone, the glorious denouement to a master’s oeuvre. I should note here that David Lynch is my favorite director; perhaps no other filmmaker has had nearly as much sole influence on my cinephilia and taste. Indeed, watching Eraserhead (my first taste of Lynch) at midnight on a television with the lights completely off a few years ago effectively changed my life. But regardless, the films, and certainly their impact and wildly varying reception, can speak for themselves. Of course, to what extent this speech can be deciphered will forever remain a mystery, and that’s precisely the way to experience the wonders and terrors of David Lynch.